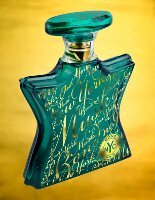 In a virtuoso performance, New York Musk displays its versatility when surrounded by contemporary fruit and spice accents. It opens with lightness and buoyancy: a blend of sparkling grapefruit flower, tart and tangy blackcurrant, and galbanum—a pine-like aromatic gum resin from Persia. Then come the midnotes, reinforcing that theme: Asian osmanthus flower, recalling peaches and apricots, combined with lemony-green lilies—yes, flowers that smell like fruits—while spiking this mix is spicy nutmeg. Musk comes into play in the base notes, as it usually does, surrounded by its lingering cohorts, those willing conspirators in seduction, patchouli, sandalwood, and vetiver. Bond no. 9 New York Musk will launch in November, and will be available in 50 ($260) or 100 ($330) ml Eau de Parfum. No comments…exactly what I thought. I have smelled like 10-15 of these Bonds. Not one of them have I liked. Success is a job in New York is sort of nice. I had it when I was in a I CANNOT SMELL ALL THAT PERFUME I JUST SPRAYED MOOD. it worked. But sadly, I am getting that way more and more. Except other people really REALLY SMELL ME. I’m also going blind. But I’m about to get Odelisque by PdN, or Seville L’Aube so I’m happy. What should or would you get any answers? Hmm, not feeling this brand. Haven’t liked any of them and I really don’t like the packaging. A little too gaudy for me. However, if you’re on the hunt for a nice soft musk, I suggest Musc by Mona di Orio. this sounds a lot like a compost pail to me, let’s throw in as many things as possible! It’s funny, the comments on fragrantica range from light feminine skin scent to total skankfest. I look forward to trying it myself this weekend.